The VBCAG began in 1993. 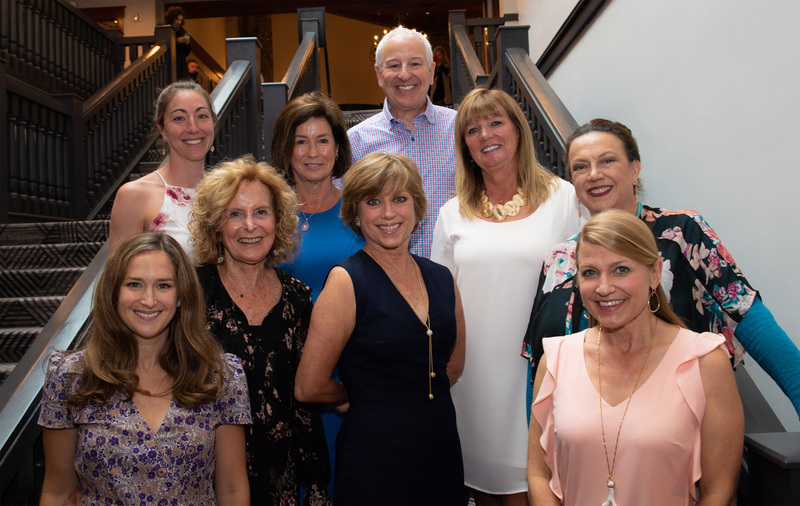 In addition to Himelfarb, board members include Joyce Bradley, Nicole Denton, Heidi Bricklin, Lori Brown, Eric Burgund, Tracy Gillette, Jessica Denton and Linda Lund. The group strives to ease the financial and emotional burdens endured by those in Eagle County who are battling breast cancer. Over the past 24 years, the Vail Breast Cancer Awareness Group – all volunteers - has raised more than $1 million because of the generosity of the Eagle County community. Over 450 women have received a Day to Play - and over 40 women have each received more than $2,000 in assistance. Our donations to the Sonnenalp Breast & Diagnostic Imaging Center at the Shaw Regional Cancer Center includes funds for the purchase of various diagnostic equipment including a PET scanner, a stereotactic table for its radiation department, a 3D tomography machine and a GE Whole Breast Automated Ultra Sound System. Additional donations have supported the cancer caring house, “Jack’s Place,” a GAP Fund for those who need additional diagnostic tests not covered by insurance and reflective technology used to mark tumors in the breast before surgery is performed. "To help all men and women in Eagle County who have been diagnosed with breast cancer." is a 501c3 non-profit corporation.